THE FACTS – Last January 7th, in social networks and national news media such as Channel 7 TV, a vídeo with manipulative, defamatory information was shown that singled out and falsely identified several public officials and members of civil society organizations, including feminist activist and communicator Briseida Milián. They were accused of illegally entering facilities at the Aurora International Airport in Guatemala City. 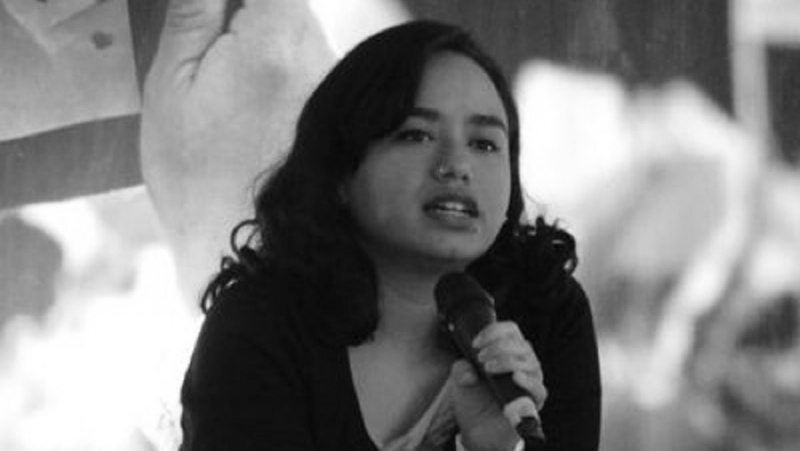 This attack is related to the criminalization and persecution campaign waged by the Guatemalan government against the International Commission against Impunity in Guatemala (CICIG), and specifically, to the arbitrary detention on January 5th and 6th in that airport of Colombian CICIG investigator Yilen Osorio by immigration authorities in opposition to the orders of the Constitutional Court. Among the reactions to these abuses were peaceful protests outside the aiport. We of IM-Defensoras condemn and denounce the dissemination of false, manipulated information whose only goal is to defame and criminalize human rights defenders and persons who defend legality against the corrupt, arbitrary actions of the government. More often than not, the purveyors of such information rely on hate speech, which exposes defenders to a situation of higher risk and vulnerability. We are especially concerned about the fact that arrests have been made based on spurious goovernment claims, along with attacks and actions against the integrity of human rights defenders in the country. 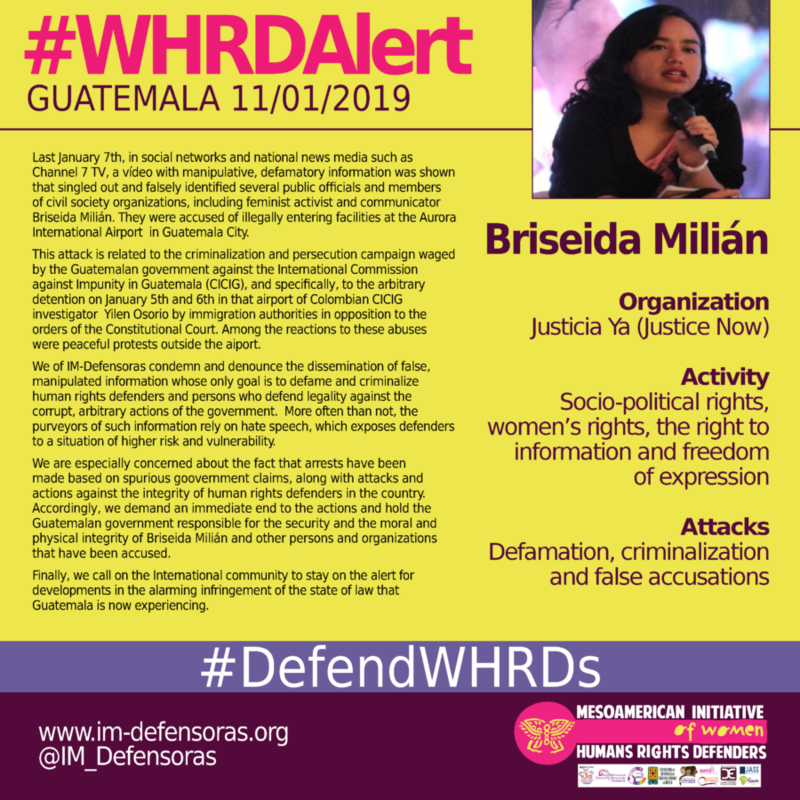 Accordingly, we demand an immediate end to the actions and hold the Guatemalan government responsible for the security and the moral and physical integrity of Briseida Milián and other persons and organizations that have been accused. Finally, we call on the International community to stay on the alert for developments in the alarming infringement of the state of law that Guatemala is now experiencing.